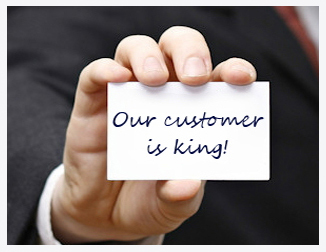 We provide consistency, speed, and accuracy along with the ability to build great rapport with your customer base. Our customized approach makes support worry free. Whether you need general answering services, or high-end customer service to support a specific product, we have the solution. Our experienced staff develops a scope of work with you to identify and map out any solution you need. This includes building a call flow, set-ting your hours of operation, recording introduction and hold mes-sages, setting hold times with custom or generic hold music, voicemail options and boxes, IVR options, as well as any off site routing of calls. Once the call flow is built to your specifications, we then develop a customized report. This process allows you to identify all data points that are relevant to you in running your business. After ensuring all data points are being captured, we can then create the format of the reports you would like to see daily, weekly, monthly, or quarterly. These formats can include charts, graphs, or tables, as well as a variety of specific file type. Once we have your call strategy completed, we provide advanced data capture through our customized CRM tool. This allows you to capture specific data pertaining to a customer, issues or products, and/or services. With this information, we can assist you with improving different aspects of your support to provide a better experience for your customers. This information is updated in your e-training manual, knowledge bases, and screen pops to help CCS representatives with future inquiries.